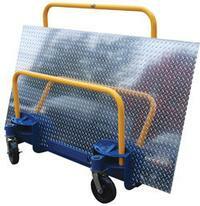 All purpose flat panel cart is constructed of steel. 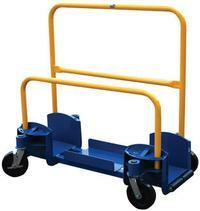 Features removable uprights and an easy-roll entry roller on one end. 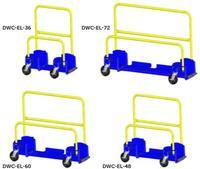 Carts roll smoothly on (2) rigid and (2) swivel 8" x 2" phenolic casters with side brakes. Durable powder coat finish.